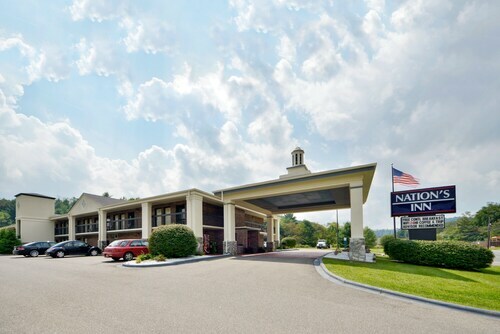 Situated in Boone, this hotel is within a 15-minute walk of Horn in the West and Appalachian State University. Hickory Ridge Living History Museum and Daniel Boone Native Gardens are also within 15 minutes. 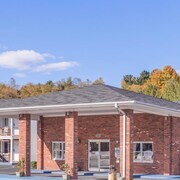 Situated in Boone, this motel is 0.8 mi (1.3 km) from Magic Mountain Mini Golf and Arcade and 2.1 mi (3.5 km) from Appalachian State University. Boone Mall and Kidd Brewer Stadium are also within 2 mi (3 km). 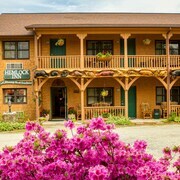 Situated in Blowing Rock, this motel is steps from Blowing Rock Auditorium and Pisgah National Forest. Blowing Rock Memorial Park and Blowing Rock Art and History Museum are also within 10 minutes. 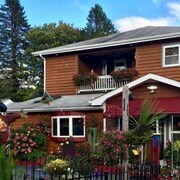 Situated in Blowing Rock, this bed & breakfast is within 1 mi (2 km) of Blowing Rock Auditorium and Pisgah National Forest. Blowing Rock Memorial Park and Blowing Rock Art and History Museum are also within 10 minutes. 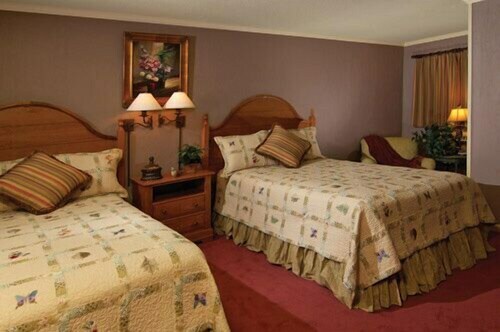 Located in the heart of Boone, this hotel is within 1 mi (2 km) of Boone Mall and Appalachian State University. Magic Mountain Mini Golf and Arcade and Daniel Boone Native Gardens are also within 1 mi (2 km). Situated in Blowing Rock, this bed & breakfast is within 1 mi (2 km) of Blowing Rock Auditorium and Pisgah National Forest. Blowing Rock Memorial Park and Blowing Rock Art and History Museum are also within 15 minutes. 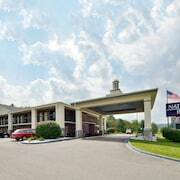 Situated in Boone, this hotel is within 1 mi (2 km) of Horn in the West and Appalachian State University. Hickory Ridge Living History Museum and Daniel Boone Native Gardens are also within 1 mi (2 km). 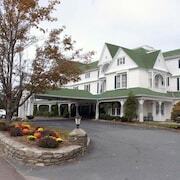 Situated in the mountains, this historic hotel is within 1 mi (2 km) of The Blowing Rock and Pisgah National Forest. Bailey Camp and Blowing Rock Auditorium are also within 2 mi (3 km). Situated in a state park, this motel is 0.3 mi (0.6 km) from Saint Mary's Episcopal Church and 2.8 mi (4.4 km) from Mountain Aire Golf Club. Mount Jefferson State Park and Museum of Ashe County History are also within 6 mi (10 km). 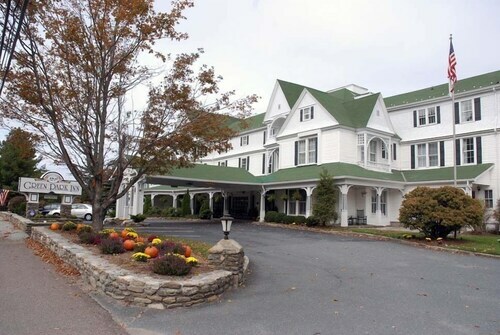 Situated in Banner Elk, this hotel is 0.9 mi (1.5 km) from Banner House Museum and 2.3 mi (3.7 km) from Sugar Mountain Resort. Lees-McRae College and Sugar Creek Gem Mine are also within 2 mi (3 km). 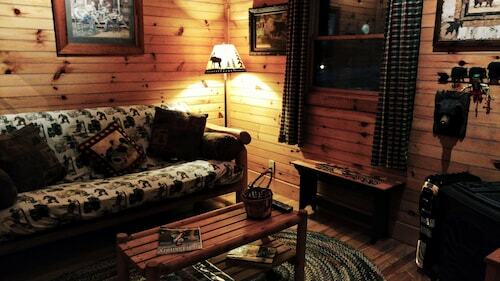 Situated in the historical district, this cabin is within 6 mi (10 km) of The Greater Foscoe Mining Co., Apple Hill Farm, and Foggy Mountain Gem Mine. 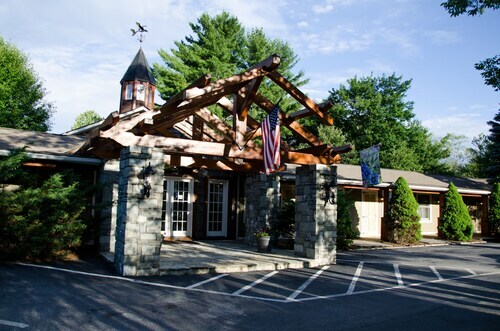 Grandfather Vineyard & Winery and Banner Elk Winery are also within 6 mi (10 km). 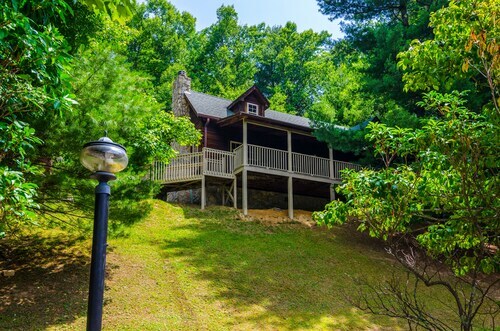 Situated in Banner Elk, this romantic property is 0.7 mi (1.1 km) from Beech Mountain Resort and 1.3 mi (2.2 km) from Land of Oz. Buckeye Recreational Center and Flat Top Brewing Company are also within 6 mi (10 km). Pet owners shouldn't miss Boone, a city known for its hiking trails, and sights like Turchin Center for the Visual Arts and Kidd Brewer Stadium. You can choose from Travelocity's 33 pet-friendly hotels and accommodations in Boone and bring your four-legged friends along! Enjoy the fresh air at Daniel Boone Native Gardens, Howard Knob County Park, and Moses H. Cone Memorial Park. Other things to see include Hickory Ridge Living History Museum, Horn in the West, and Magic Mountain Mini Golf and Arcade. Need a pet store? Try Tuesday Morning, Pet Supplies Plus, or The Pet Place. For vet care, Appalachian-New River Veterinary Associates, Whispering Waters Animal Care, and Appalachian New River Veterinary: Mc Adams Randall DVM are located in the area. Cats and dogs are allowed for a fee at this 2-star motel, although restrictions apply. Guests appreciate the breakfast and pool. Cats and dogs are allowed for a fee at this 2.5-star hotel, although restrictions apply. Guests appreciate its location and clean rooms. Dogs are allowed for a fee at this 2.5-star hotel, although restrictions apply. Guests appreciate its location and quiet rooms. Weather can make or break your trip, especially if you want to spend time outdoors. Here are the average daytime and nighttime temperatures to help plan your time in Boone. From January to March, average temperatures range from 57°F in the daytime to 20°F at night. Between April and June, the daytime average is 78°F and the nighttime average is 33°F. From July to September, average temperatures range from 79°F in the daytime to 45°F at night. Between October and December, the daytime average is 67°F and the nighttime average is 21°F. I Iove the quaintness of the hotel a very homey feel. The one draw back was that the hotel did not fix there web site to say that the do not do continental breakfast any longer and that a dog is 35 dollars added to the cost ,but I will say that nice enough to wave the fee because it is not on there site. Very nice service and people working there . The guy who checked up in was great. Super nice and attentive. The guy working this morning doesn’t seem to have any personality. No good morning or how was your stay, nothing. He barely made eye contact. The carpet in our room looked as if it hadn’t been vacuumed and we did not have wash cloths. We just used the hand towels. The breakfast didn’t look good at all so we are heading out to IHOP. But for the price it was all just fine. Hotel is in the middle of a major renovation. A lot of unfinished work. No front desk and lobby area. Hallways have no heat. Construction trailers take up large part of parking area, so you have to park next door in restaurant parking lot. Jacuzzi not operational. Room walls painted but ceiling paint peeling. New bare fire sprinkler pipes in hallway. We were disappointed. Good experience, room was nice, but sink leaked, TV didn't work - reported problems to front desk. Repair man fixed them by time I returned from dinner. 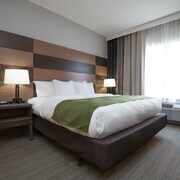 Will stay there again, a very good value for the low room rate cost. 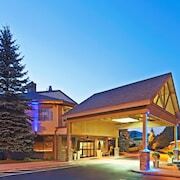 Hotels near Appalachian Ski Mtn.